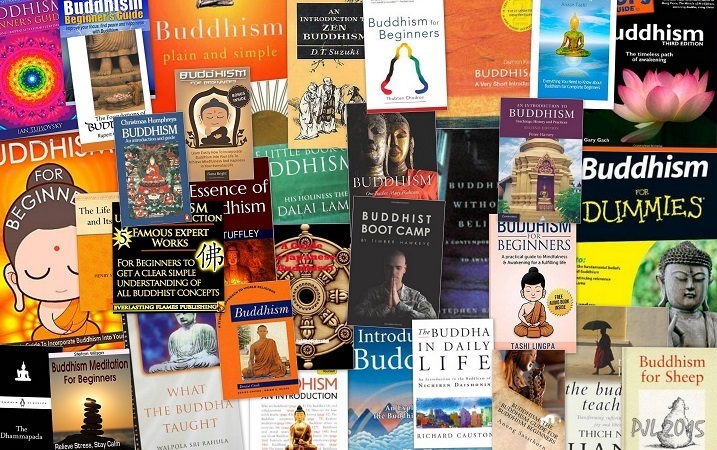 Today there is no shortage of Buddhist primers. With just a few clicks of a mouse button one is able to access an abundance of freely available online resources (scriptures, commentaries, videos, etc.). Unfortunately, the historical Buddha (‘Awakened One’) never did write a line of doctrine, and much of what passes for ‘Buddhism’ today he never actually spoke. To make sense of the religion attributed to him requires a lot of digging. My aim in writing this review is to facilitate that task a little. 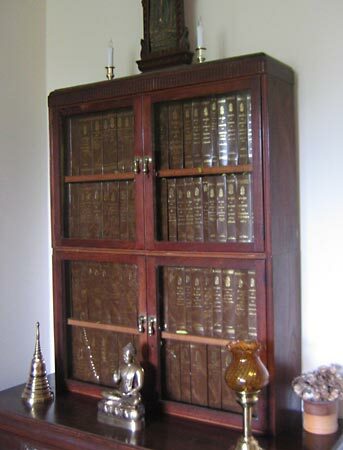 Despite the brevity of my potted history of Buddhism, it should now be clear why among the plethora of Buddhist literature available it is the core canonical Pali scriptures that are most likely to tell us what the Buddha and his contemporaries who founded the religion actually thought and taught. Let us move on now to consider some of the findings of scholars and translators who have studied the EBTs in their original language. “The three kinds of feelings, O monks, are impermanent, compounded, dependently arisen, liable to destruction, to evanescence, to fading away, to cessation — namely, pleasant feeling, painful feeling, and neutral feeling.”  Happiness, unhappiness and calmness are temporary states experienced by rich and poor alike. These feelings arise and cease in accordance with the changing causal conditions upon which they are dependent (sensory contact, awareness, volition, etc.). “Any kind of form… feeling… perception… determination… consciousness whatever, whether past, future or presently arisen, whether gross or subtle, whether in oneself or external, whether inferior or superior, whether far or near, must with right understanding how it is, be regarded thus: ‘This is not mine, this is not I, this is not myself.’  The law of impermanence means there is no fixed or permanent nature, and nothing stable for an everlasting ‘soul’ or ‘essence’ to reside in. What most of us see a human being is actually a collection of aggregates or khandhas (matter, sensations, perceptions, volitional mental activity and states of conscious) in constant flux. The person we think we are is not the same as the person we thought we were a decade ago, a year ago or even ten minutes ago. Our mistake is to assume permanency where none exists; we become attached to shifting views of ‘self’ and this unskillful behaviour leads to suffering. I will now state some characteristics of Early Buddhism that are striking only in as much as one is unlikely to hear them being discussed seriously in the temples, centres and classes that are teaching Buddhism nowadays. The Buddha believed in miracles. The Buddha was critical of monks who profited from the ‘black arts’. “[S]ome brahmans and contemplatives… maintain themselves by wrong livelihood, by such lowly arts as: reading marks on the limbs; reading omens and signs; interpreting celestial events; interpreting dreams; reading marks on the body… offering blood sacrifices… laying demons in a cemetery; placing spells on spirits; fortune telling based on visions; giving protective charms…”  These practices were regarded as ‘wrong livelihood’ presumably because they are imprecise, uncertain, and so likely to result in anxiety and unhappiness for all concerned. The monks who refrained, on the other-hand, knowing that they were blameless, were blessed with the inner contentment of living rightly. The Buddha believed he had lived many previous lives. “I recollected my manifold past lives, i.e., one birth, two…five, ten…fifty, a hundred, a thousand, a hundred thousand, many eons of cosmic contraction, many eons of cosmic expansion, many eons of cosmic contraction and expansion: ‘There I had such a name, belonged to such a clan, had such an appearance. Such was my food, such my experience of pleasure and pain, such the end of my life. Passing away from that state, I re-arose there. There too I had such a name, belonged to such a clan, had such an appearance. Such was my food, such my experience of pleasure and pain, such the end of my life. Passing away from that state, I re-arose here.’ Thus I remembered my manifold past lives in their modes and details.”  There is tendency nowadays to regard the the Buddha’s concept of ‘rebirth’ as referring only to the arising and cessation of momentary mental states,  but while acknowledging his ability to teach expediently (upaya) I believe the most likely explanation for the above statement to be that the Buddha was saying it exactly as he saw it. The Buddha believed in devas (supernatural beings). The Buddha believed in hell and other-worldly realms. “[M]onks, few are the beings who, on passing away from the human realm, are reborn among human beings. Far more are the beings who, on passing away from the human realm, are reborn in hell… the animal womb… the domain of the hungry ghosts.”  Such ideas were part of the Buddha’s rich cultural inheritance, as familiar to him as are ideas of inter-galactic space and the sub-atomic realm familiar to us today. I think the above quote most probably does therefore reflect the reality that the early Buddhists perceived. The issues of translator bias and establishment agendas certainly exist and are legitimate concerns, but to just point these out without examining what researchers in the field are saying neither disproves the textual evidence nor increases one’s understanding of the truth. The Buddha did not claim omniscience. Early Buddhism was not a ‘science of mind’. Statements about the compatibility of Buddhism and science only started to appear during the Victorian period, as Buddhism became fashionable in European intellectual circles and Buddhist thinkers in Asia defended themselves against the attacks of Christian missionaries. The ‘Kalama Sutta’  is often cited as evidence that Buddhism is a rational and non-dogmatic religion, but I would say this is a modern reinterpretation that certainly cannot be ascribed to Early Buddhism. The early Buddhists were ‘scientific’ in as much as they were empirical – that is to say, they tried to ground knowledge in experience and they had less regard for knowledge derived mainly or solely from a priori reasoning and authority. 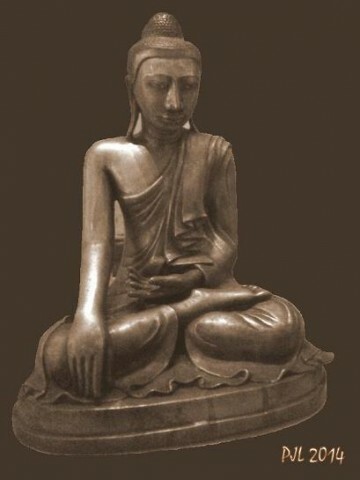 But whereas modern scientists indulge in theorizing about mechanisms and suggesting hypothetical entities (and are thus able to offer many causal explanations for much of what we experience), the empirical attitude of the Early Buddhists led them to eschew “speculative views” and to concentrate instead on the practicalities of attaining nibbana. The Early Buddhists often cited the conditions necessary for certain effects to arise but they did not – could not – offer many causal explanations. Moreover, in my opinion, the cosmological and soteriological beliefs of the Early Buddhists are likely neither to be validated by modern science nor appeal to a secular mindset. The Buddha preached abstinence from luxuries, entertainments, and other ‘addictions’. Not all traditional Buddhist practices were endorsed by the Buddha. In the Gopaka Moggallana Sutta, Ananda makes it clear that the Buddha regarded five mental defilements (obstacles to enlightenment) as improper subjects for meditative absorption – “There is the case where a certain person dwells with his awareness overcome by sensual passion… ill will… sloth and drowsiness… restlessness and anxiety… uncertainty… This is the sort of mental absorption that the Blessed One did not praise.”  Moreover, the Buddha neither appointed lineage holders nor did he hold elections to select ecclesiastical heads – “There isn’t any one monk appointed by the Blessed One [or] authorized by the Sangha and appointed by a large body of elder monks [with the words] ‘He will be your arbitrator after I am gone…’”  Such practices did not feature in Early Buddhism but were developed by later schools. The Buddha’s lay followers did not meditate. 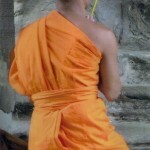 Historically, meditation was seen as a speciality of renunciate monks and nuns who were determined to escape samsara. The religious obligations and aspirations of the laity typically were more modest; meditation was rarely taught to them, and their practice focused instead upon the cultivation of generosity (dana) and attainment of a favourable rebirth in one of the heavens. Only since the 20th century has meditation been widely regarded as central to Buddhism and practiced by laypeople, and it is often taught as a form of stress reduction rather than liberation. ;  I would expect to find only a relatively small number of contemporary meditators practicing with the same urgency and purpose of the early monastics. Although the Early Buddhist Texts (EBTs) most probably do contain some authentic words of the Buddha, much of what passes for Buddhism nowadays is unlikely to have been spoken by him. In saying that I am making no judgment about the superiority or otherwise of Early Buddhism when compared with later developments. As the Buddha himself might say, it is for each sincere practitioner to test the teachings of their chosen tradition by observing the absence or presence of mental stress. 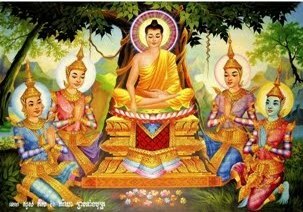 The EBTs have long challenged people’s idealistic expectations and assumptions about the Buddha and his disciples. They paint a vivid picture of a bustling, religiously diverse ancient world with a leading cast of monastic superheros able to perform miracles and converse with gods, ghosts, animals and demons. Early Buddhism was never rational or scientific in the way that we understand these terms to mean today; the ‘magical thinking’ of the Buddha and his contemporaries does not sit comfortably with the findings of modern science. Nevertheless, the EBTs are historical evidence and they give perspective to later developments within the religion. If we acquaint ourselves with the EBTs (or reliable translations of) we can be reasonably confident in our knowledge of the historical Buddha and his contemporaries, how they thought and lived around 600-500 BCE. The ancient suttas are not a verbatim record of the Buddha’s utterances, however it is in the details of editing and arrangement and not in doctrine or substance where research has uncovered the most obvious changes. Arguments to the effect that the Buddha’s original message has been lost in translation hold little water unless those making them are actually able read the Pali texts in their original language. And it is unreasonable, in my opinion, for anyone to dismiss primary source material as inferior, irrelevant or contrary to the established orthodoxies (traditional and secular) within contemporary Buddhism. In fact, I would like to see more being done by academia and Buddhist clergy world-wide to encourage study of the Pali scriptures and to guarantee the reliability of translations. Although the EBTs might reasonably be thought to contain additional canonical material, as Eisel Mazard points out it is a matter of some debate. Ibid. As illustrated by this quote from the blog of Vexen Crabtree: “Everything we know about the religion comes from fallible human sources, and, the earliest collections of writings on the religion have profoundly contradicted each other… The founders of major sects are given much credibility and all of this lasts on one big claim: that the teacher passes on the religion as he himself received it. But this model never works. In all instances, Buddhist doctrine and practice vary greatly.” – ‘Criticisms of Buddhism: Its History, Doctrine and Common Practices’ by Vexen Crabtree, 2011. Human Religions.Info. Accessed 20 March 2015. ‘Theravada Buddhism: A Chronology’, Access to Insight (Legacy Edition). 30 November 2013. Accessed 11 March 2015. According to most scholars, the root schism was between the Sthaviras and the Mahasanghikas; the Sthaviras gave rise to several schools, one of which was the Theravada school. ‘Buddhism’, Wikipedia. Last modified 28 February 2015. Accessed 14 March 2015. See also ‘Theravada’, Encyclopedia Britannica Online, 2015. Accessed 14 March 2015. The earliest textual evidence of ‘Mahayana’ comes from Sanskrit sutras originating around the beginning of the common era – ‘Mahayana’, Wikipedia. Last modified 2 February 2015. Accessed 11 March 2015. See also ‘Mahayana’, Encyclopedia Britannica Online, 2015. Accessed 14 March 2015. 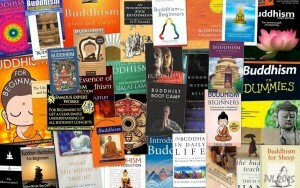 ‘Theravada Buddhism: A Chronology’, Access to Insight (Legacy Edition). ‘Beyond the Tipitaka: A Field Guide to Post-canonical Pali Literature’, edited by Access to Insight. Access to Insight (Legacy Edition). 1 December 2013. Accessed 11 March 2015. ‘The Major Systems and Their Literature’, Encyclopedia Britannica, 2015. Accessed 14 March 2015. See also ‘Mahayana versus Theravada’ by Dr. W. Rahula, Wisdom Quarterly: American Buddhist Journal, 2008. Accessed 20 March 2015. ‘Secular Buddhism’, Wikipedia. Last modified 20 February 2015. Accessed 13 March 2015. ‘Nibbana: nibbana’, edited by Access to Insight. Access to Insight (Legacy Edition), 30 November 2013. Accessed 12 March 2015. Volume 33 No.2, April, 1983 (pp. 162-164). Website version accessed 12 March 2015. ‘Aggi-Vacchagotta Sutta: To Vacchagotta on Fire’ (MN 72). ‘Pansu Suttas: Dust’ (SN 56.102-113)’, translated from the Pali by Thanissaro Bhikkhu. Access to Insight (Legacy Edition), 10 December 2011. Accessed 15 March 2015. ‘Simsapa Sutta: The Simsapa Leaves” (SN 56.31), translated from the Pali by Thanissaro Bhikkhu. Access to Insight (Legacy Edition), 30 November 2013. Accessed 21 March 2015. ‘Was the Buddha Omnicient?’ by Dharmacari Nagapriya, Western Buddhist Review: Vol 4. Accessed 21 March 2015. ‘The Scientific Buddha: Why do we ask that Buddhism be compatible with science?’ by Donald S. Lopez Jr., Tricycle Magazine, Winter 2012 (website version accessed 12 March 2015. When members of the Kalama clan asked skeptically whose teachings should they believe, the Buddha famously replied: “When there are reasons for doubt, uncertainty is born. So in this case… don’t go by reports, by legends, by traditions, by scripture, by logical conjecture, by inference, by analogies, by agreement through pondering views, by probability, or by the thought, ‘This contemplative is our teacher.’ When you know for yourselves that, ‘These qualities are unskillful; these qualities are blameworthy; these qualities are criticized by the wise; these qualities, when adopted and carried out, lead to harm and to suffering’ – then you should abandon them.” – ‘Kalama Sutta: To the Kalamas’ (AN 3.65), translated from the Pali by Thanissaro Bhikkhu. Access to Insight (Legacy Edition), 30 November 2013. Accessed 12 March 2015. ‘Samannaphala Sutta: The Fruits of the Contemplative Life’ (DN 2), translated from the Pali by Thanissaro Bhikkhu. Access to Insight (Legacy Edition), 30 November 2013. Accessed 23 March 2015. See also ‘Anathapindikovada Sutta: Advice to A Dying Man’ (MN 143), translated from the Pali by Andrew Olendzki. Access to Insight (Legacy Edition), 2 November 2013. Accessed 23 March 2015. 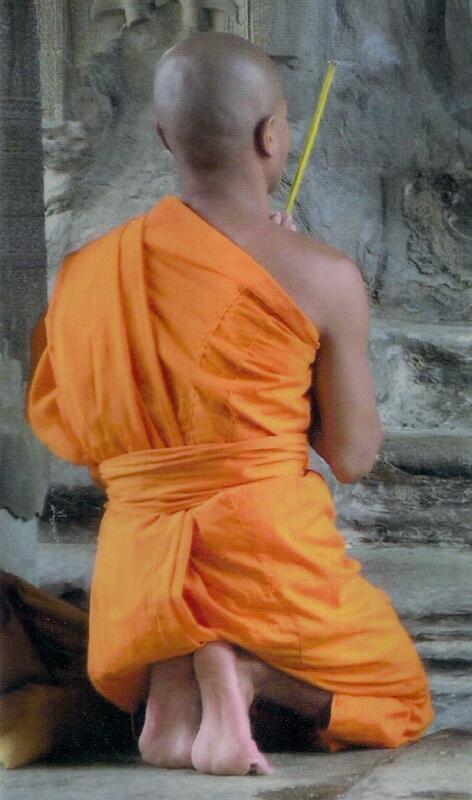 ‘Theravada Monk’ (thumbnail) – photographer unknown. ‘Buddhist Primers’ – PJL 2015. 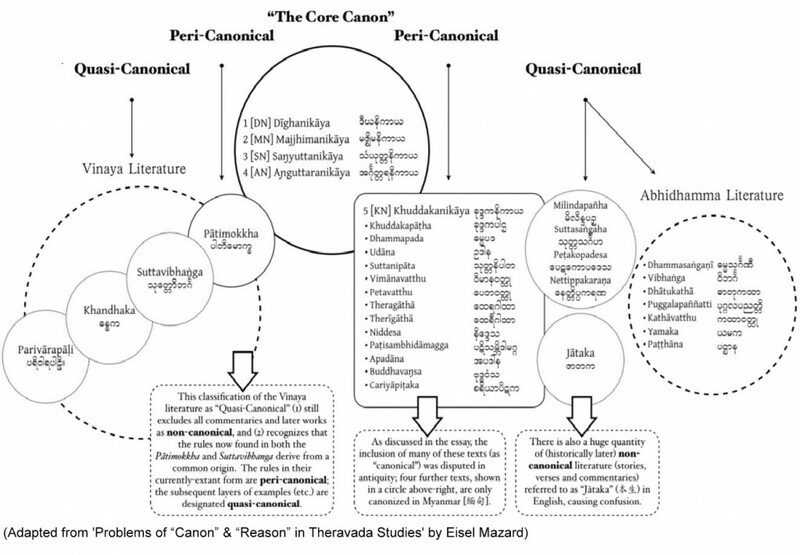 ‘Pali Canon I’ – Eisel Mazard. ‘Brass Buddha’ – PJL 2014. ‘Buddha and Devas’ – artist unknown. ‘Pali Canon II’ – Encyclopedia Britannica. This entry was posted in Buddha & Buddhism, Commentary and tagged early buddhism, early buddhist texts, evolution of buddhism, modern buddhism, origins of buddhism, pali canon. Bookmark the permalink.